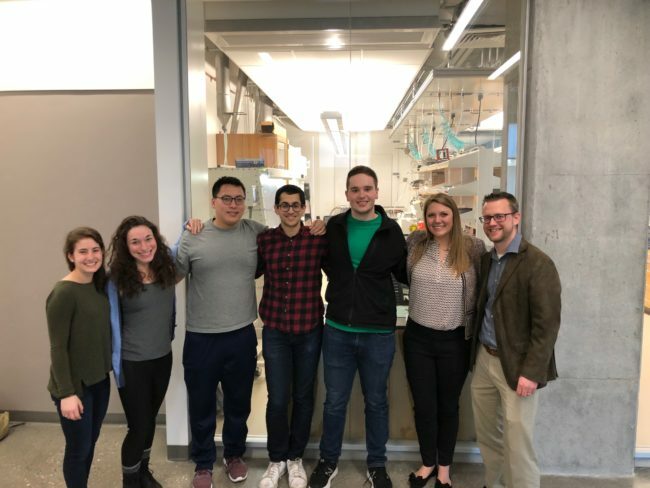 Pint Team, March 2019: from left to right – Kate Moyer, Janna Eaves, Jackson Meng, Murt Zohair, John Waugh, Anna Douglas, and Cary Pint. 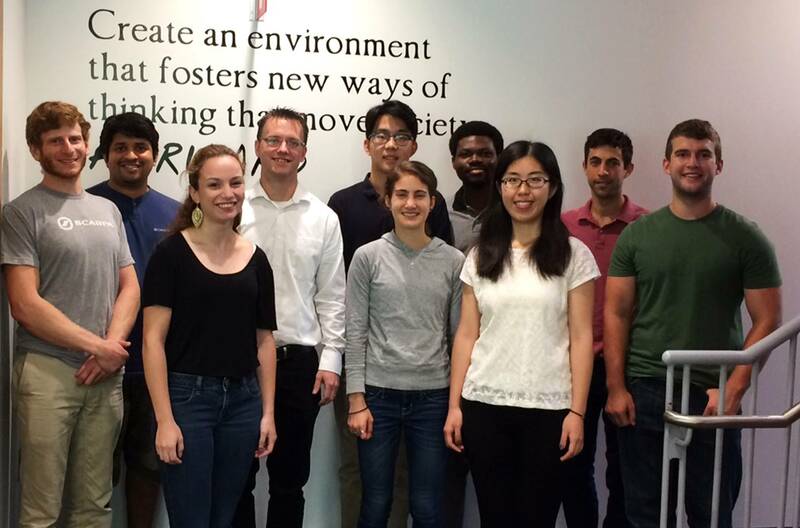 Pint Lab, Summer 2017: from left to right – Keith Share, Nitin Muralidharan, Jennifer Donohue, Cary Pint, Dominic Jiang, Kate Moyer, Jeremiah Afolabi, Mengya Li, Adam Cohn, and Tommy Metke. Not shown are Anna Douglas and Jackson Meng. Welcome to the Nanomaterials and Energy Devices Laboratory at Vanderbilt University. We are a resonantly productive team of researchers who have a passion to explore new ways to solve challenges in the area of energy and environmental applications. In the past, our work has centered on the synthesis and manufacturing of nanomaterials, energy storage, energy harvesting, and environmental applications. Moving forward, we’re excited to solve problems using economical nanotechnology to address (1) a sustainable, and (2) a smart and connected future. We work in fields of research where one advance can impact billions of people on challenges where the lack of effort and creative solutions can threaten the sustainability of the human population. This includes big solutions to problems in renewable energy and greenhouse gas conversion, among technologies that can advance energy technology development without destroying our environment. Our team has a strong background in spinning research into commercial ventures, close interactions with industry through funding or collaboration, and a habit of approaching fundamental directions with hypothesized technology outcomes. Read more about recent exciting news from our lab below, more about our research at our research page, and check out our most recent publications and patents on our publications page. Most of all, if you are up for engaging discussion about energy systems, Prof. Cary Pint’s favorite pastime is chatting about world-impacting ideas about energy systems over a shot or two of espresso. Stop by!! March 28, 2019: We are proud of the Pint team alumni! Just recently, Dr. Andrew Westover, who is now a Staff Scientist at ORNL, was featured as a leader in battery research by ACS Energy Letters – one of the top energy journals in the world. Also, others in our lab are making impact in their careers. Dr. Keith Share was recently promoted to a Manager of Battery Fabrication at the Tesla Gigafactory (Panasonic), Dr. Landon Oakes took on a new position as a Battery Scientist at 24M, one of the most dynamic companies in the battery industry, and Dr. Rachel Carter was recently converted from an NRC postdoc fellow at Naval Research Labs to a staff member (a highly competitive process!) where she does research on battery materials relevant to the DOD. We are so proud of the impact our team is making in the world after starting their independent careers! March 22, 2019: Congrats to Dr. Anna Douglas! 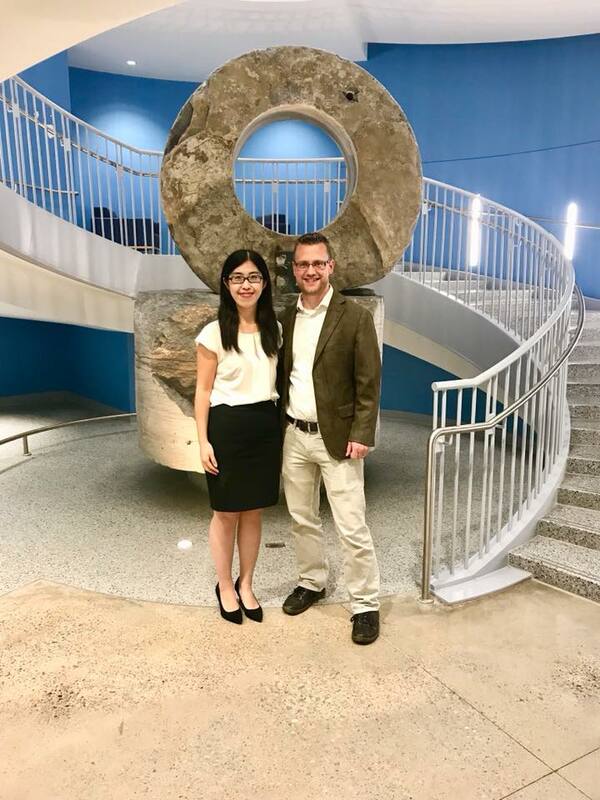 Today, she defended her Ph.D. thesis entitled, “Sustainable Manufacturing of Carbon Nanomaterials for Energy Storage Applications.” This caps off an extraordinary track record of success for Anna, as an NSF Fellow, an Innovation Crossroads Fellow, a Forbes Magazine 30 under 30, and now formally my boss and CEO of SkyNano LLC. Way to go Anna. You have accomplished more in 5 years than many people do in their whole careers, and this is just where the roads begins! November 15th, 2018: Prof. Pint has been selected as an Associate Editor for the Elsevier Journal Energy Storage Materials based on his world-class research program centered around energy storage. 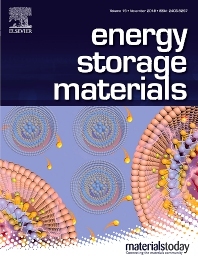 This is the highest impact journal devoted to energy storage and bears competitive impact to the most dynamic broad journals in the areas of energy sciences, materials, and nanoscience. It is an incredible honor to join the six other editors making up a globally distinguished editorial board under the leadership of Prof. Hui-Ming Cheng at the most exciting time in history for energy storage researchers! 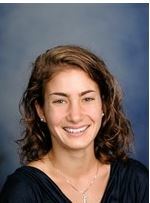 November 13th, 2018: Congrats to Mrs. Anna Douglas, a graduate student in Pint’s lab, who was named as a 2019 Forbes 30 under 30 recipient in the area of Energy. This is an elite honor designated to only a select few innovators across the globe, and we are all so proud of you Anna for making this list! 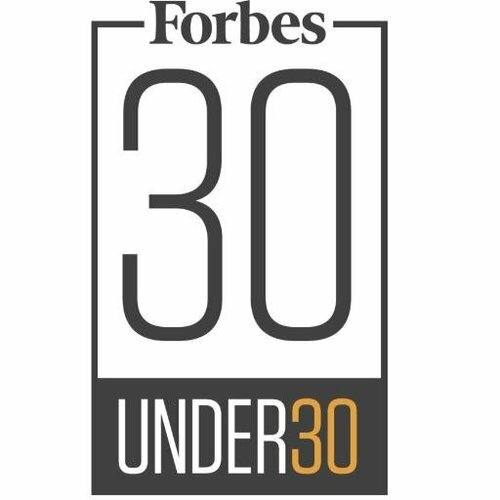 SkyNano LLC now has two Forbes 30 under 30 recipients on its executive staff – Prof. Pint (2012) and Anna Douglas (2019), and we’re fueled up to change the world! 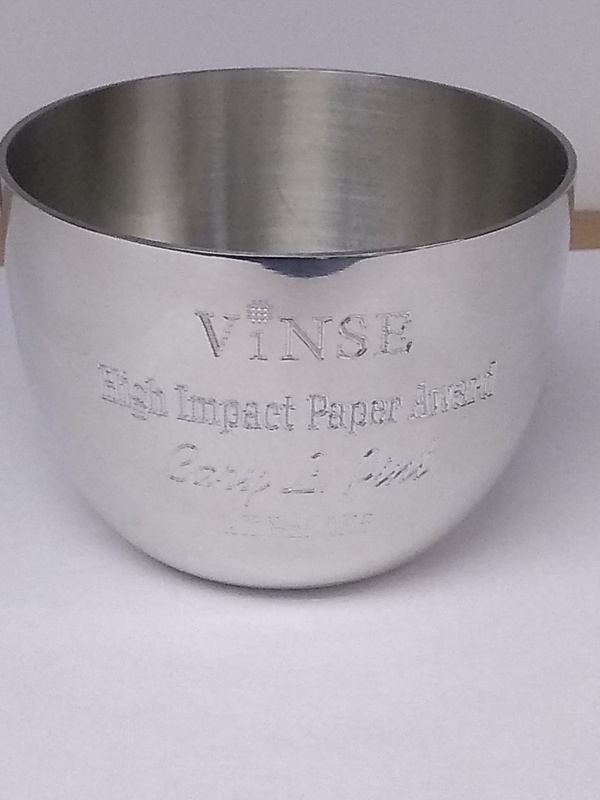 November 11th, 2018: Prof. Cary Pint was recognized by the Vanderbilt Institute for Nanoscale Science and Engineering through a “High Impact Paper Award.” This award recognizes our team for the 2nd most highly cited paper published from researchers in the greater VINSE community in the year of 2015 (3 years of cumulative citations). This paper was published in ACS Nano and has accrued 97 citations between its publication in November, 2015 to today. This award highlights the high impact of our work on the community, and we’re excited for more to come in future years. October 4th, 2018: We are proud to host Prof. Yi Cui from Stanford, who is the world’s leading researcher on nanomaterials for batteries, at Vanderbilt! Prof. Cui gave a talk at our annual Nanoday event in VINSE, where students across Vanderbilt presented posters on their work involving nanotechnology. 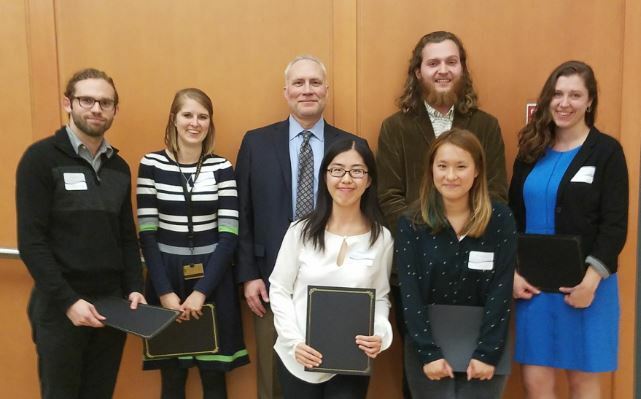 We’re very proud of Ms. Anna Douglas (center) and Mr. John Waugh (red) who won #1 place overall best poster, and #1 best poster among first year graduate students, respectively. Shown in this picture is John and Anna along with Yi after his talk and at the conclusion of the Nanoday event. September 3rd, 2018: It is a sad day in the Pint Lab. Mr. Thomas Metke has officially left our team and started graduate school as a Presidential Fellow in the Mechanical Engineering program at Princeton. Tommy started research with us when he was just a junior in high school. Then, he came to Vanderbilt to continue research with us until he completed his 4-year degree. Summer after summer, and year after year, Tommy has been a key part of our lab for now approaching 6 years. When he wasn’t doing independent projects and rubbing shoulders with grad students and postdocs, he was doing things in the background like fixing the glove box and building a ball mill that made everyone’s research projects move forward. Tommy completed several independent projects. 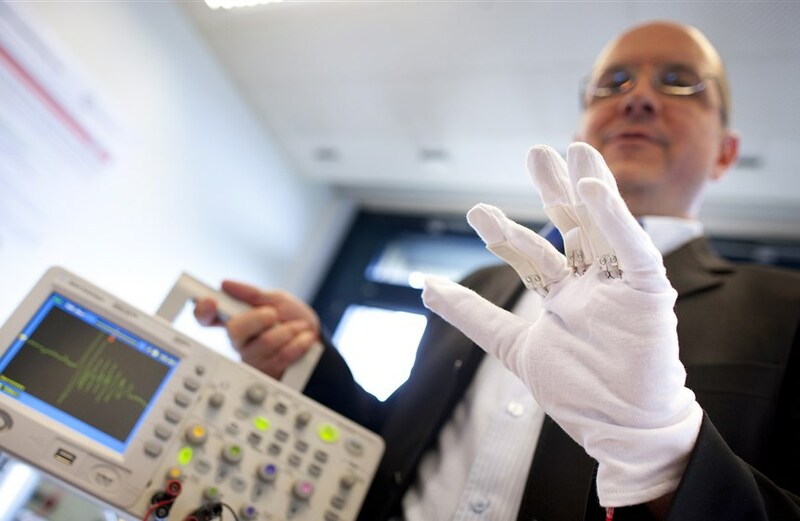 He demonstrated the first capacitive deionization process using silicon materials, he engineered non-flammable solid state electrolytes, and he demonstrated a way to incorporate energy storage into solar photovoltaic cells in a very elegant way! Relative to some research groups, that level of independent progress would be grounds for granting the Ph.D. degree! Moreover, he was always someone who brought an excitement for research that made working with him and around him a pleasure. We’ll miss you Tommy! Good luck on the next step of your career! 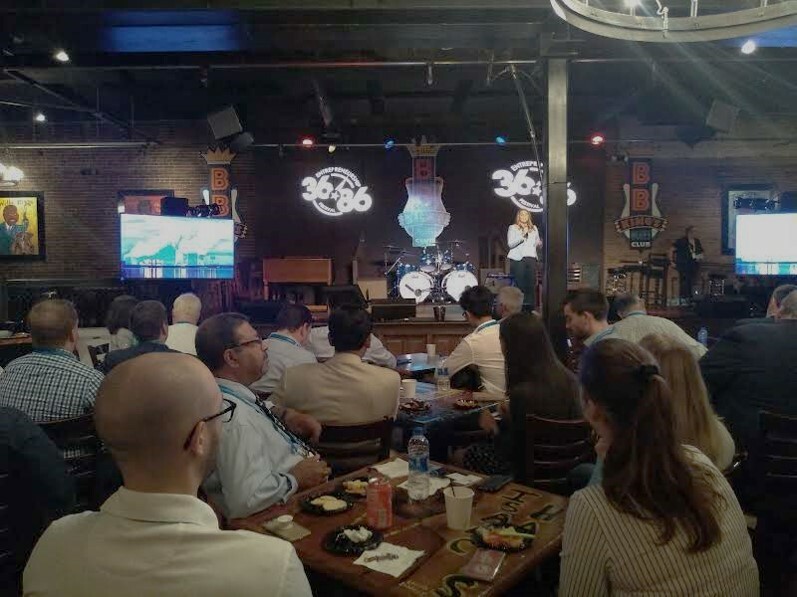 August 30, 2018: Anna Douglas and Cary Pint took on the 36:86 Entrepreneurship meeting in Nashville, TN. Anna rocked the house with a pitch on SkyNano’s technology, and Pint and Douglas spent the rest of the time meeting investors and discussing our technology that makes up the basis of SkyNano LLC, and spun out from research efforts in the Pint Lab. August 2, 2018: A warm goodbye to our summer REU student, Rebeca Gurrola, who presented a poster today on her summer research in our group. She started a challenging project to incorporate an electrochemical energy harvester into a fabric template, and not only did that, but her work has resulted in the best performing energy harvesting material ever recorded to date. Pictured is Rebeca with her graduate student mentor, Janna Eaves, holding an award for best poster design from the REU poster session. Way to go Rebeca! 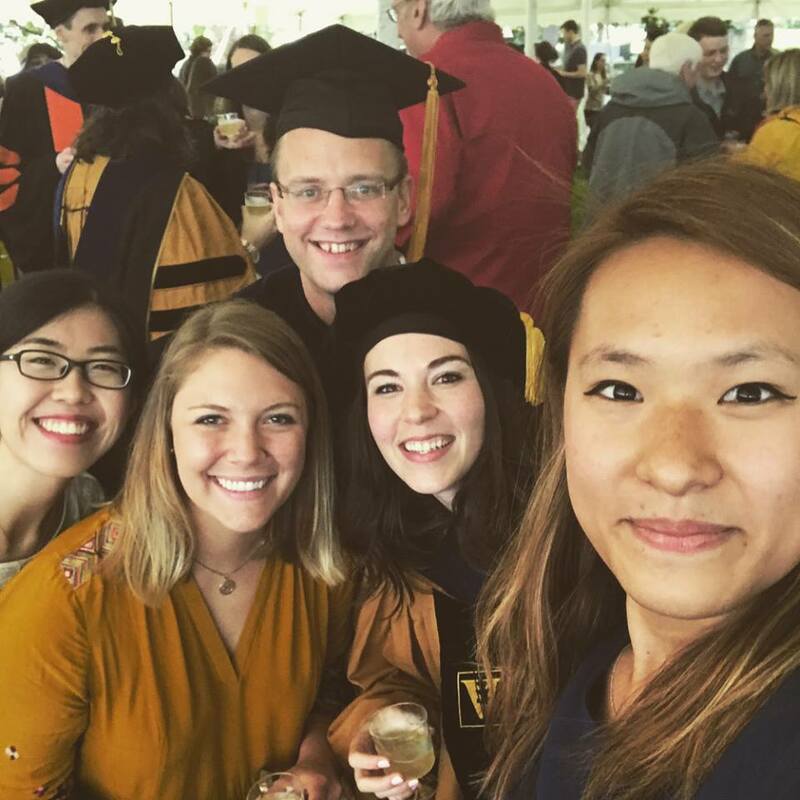 July 2, 2018: Congratulations Dr. Mengya Li! Today, she brilliantly defended her Ph.D. thesis entitled “Nanomanufacturing of nanocomposites for energy storage and environmental applications” as the seventh Ph.D. granted from the Pint lab team! Her work has been the foundation for our ongoing efforts to build complex 3-D materials with nanoscale precision using industrially-scalable methods. She will continue her work as a postdoc in the battery manufacturing facility at Oak Ridge National Laboratory later this summer. We’re very proud of you Mengya, and thank you so much for all the hard work you’ve put in – you inspire us!! June 1, 2018: Making headlines! 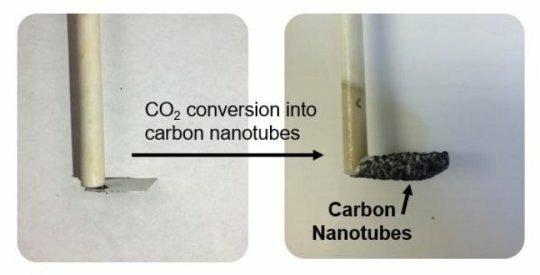 A new research paper from the Pint team published in ACS Applied Materials & Interfaces highlights the scientific challenges toward using carbon dioxide to make the novel and valuable single-walled carbon nanotubes, but while making the smallest diameter nanotubes and hence most valuable materials ever produced from carbon dioxide captured from the air. Among the many press outlets that have covered our exciting results, here is a blurb from Popular Mechanics. May 22, 2018: Prof. Pint has been traveling the past few weeks giving invited talks. 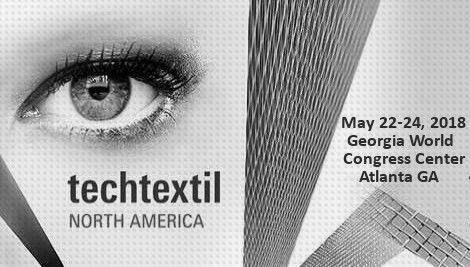 Recently, last week Prof. Pint gave an invited talk in the 3M Nanotech Forum Seminar Series, and today Prof. Pint gave an invited talk at the Techtextil North America Conference in a symposium focused on Smart Textiles. 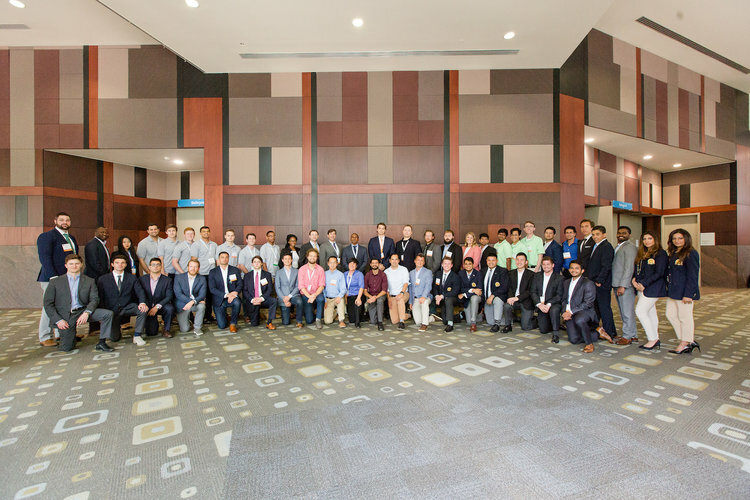 The Pint’s team work on energy harvesting materials integrated into smart and connected textile systems was well received and an exciting emerging area of our research program! May 17, 2018: Congratulations to SkyNano LLC and Anna Douglas! Anna gave a pitch at the MegaWatt Ventures Business Plan Competition and walked away with a $10,000 cash prize! Now Anna and SkyNano advance to the National Cleantech University Prize competition that will be held at Rice University. Go SkyNano and Go Anna! May 10, 2018: Congrats to Mr. Thomas Metke! 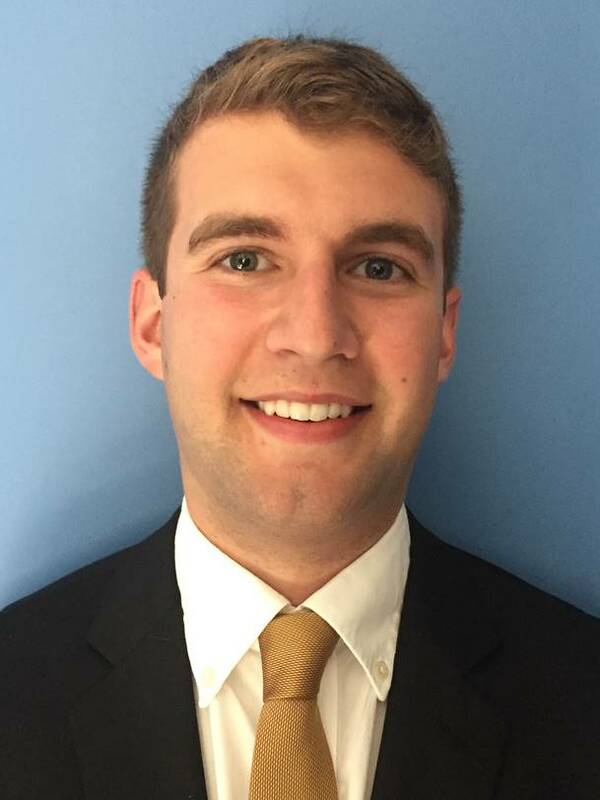 After starting in our lab as a high school junior and then working four years with us as a Vanderbilt ME undergraduate student, Tommy has received his Vanderbilt degree and a Presidential Fellowship into the Mechanical Engineering graduate program at Princeton University. Tommy was awarded the departmental Advanced Materials and Devices topic award for his excellence in research, which I presented to him at the graduation ceremony today. He will cap off 6 amazing years of productive research efforts by spending his last summer here finalizing some of the research projects he has developed the ideas and initial results for in the past few years. Awesome job Tommy!! April 3, 2018: Massive congratulations to Ms. Kate Moyer. She has been awarded a highly selective GRFP Graduate Fellowship through the National Science Foundation. This is an extremely competitive national award, and generally comes with ~ 15% success ratio that is often frontloaded by the top few ranked research institutions. Kate marks the fourth NSF Graduate fellow on our team in a row, giving an 80% success ratio for our laboratory among the last 5 fellowship applicants. Way to go Kate! As we recruit and build the next and more productive phase of the Pint lab in coming years, these extraordinary folks leave big shoes to fill! April 2, 2018: The Pint Lab is at MRS this week! We have 6 presentations throughout the course of the week on topics ranging from biomechanical energy harvesters, recycling of materials into sodium batteries, ultra fast charging battery configurations, and extremely low energy input and high areal capacity electrophoretic battery manufacturing. Come see our talks, and visit with us! April 1, 2018: Prof. Pint and his team have been awarded a grant through NASA to develop a structural battery that can be integrated into a CubeSat structural frame, in collaboration with researchers at the University of Miami, and NASA Kennedy Space Center. Excited to see batteries flying in space! 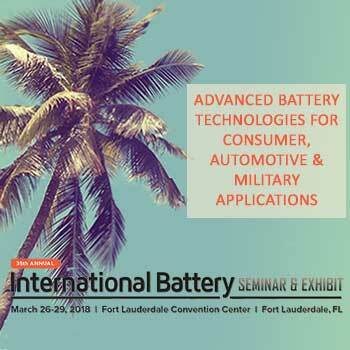 March 29, 2018: Prof. Pint gave an invited talk at the International Battery Seminar held in Fort Lauderdale, FL to a crowd that was wonderfully mixed between academic researchers, industry manufacturers and engineers, and national lab researchers. Pint talked about the discovery that mechanics can influence battery performance, and the ways in which this opens up new markets and technologies outside of energy storage for the battery industry. March 12, 2018: Congratulations to Ms. Kate Moyer! She was awarded a prestigious summer internship at NASA Kennedy Space Center starting in June to work on a collaborative project between NASA KSC and the Pint Lab focused on making and testing a multifunctional structural battery. Way to go Kate! March 1, 2018: Prof. Pint has secured a sponsored research contract with Kuraray America, a company who is a leading supplier of activated carbon materials, to study the catalytic mechanisms for electrochemical conversion of CO2 into targeted valuable materials. February 2, 2018: Prof. Pint has brought the last 4-5 months of travel to a conclusion with a bang with an invited seminar at Yale University, and an invited seminar joint between MIT and Harvard University this week. 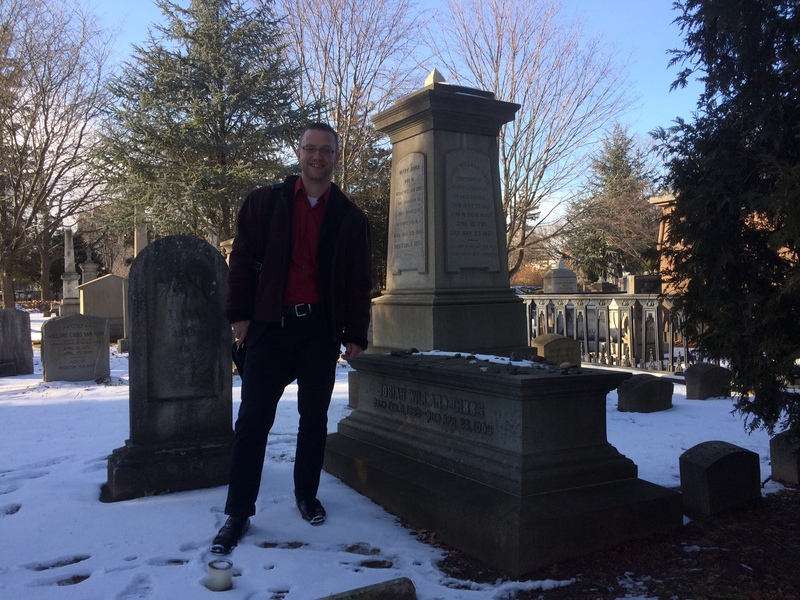 Outside of the meetings and talks, Prof. Pint visited the grave of Dr. Josiah Gibbs, one of the early pioneers of thermodynamics, which is situated on campus at the Yale Cemetery – shown in the picture. 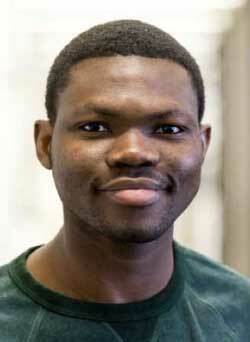 January 23, 2018: Congratulations to Jeremiah Afolabi, who started research in our group as a senior ME major at Vanderbilt University with a contagious passion to make a difference in energy-related technology. During that time, and over the past 1.5 years since graduating, Jeremiah has continued to play an integral role in our research projects ranging from strain energy harvesting to integrated photo-storage devices. He has just been awarded a prestigious internship at Apple Inc. to work with a team focused on energy harvesting applications. This is yet another success story where one of the extraordinary folks we’ve worked with is using the expertise and training from our lab to make technological impact through a company that is pioneering and pushing the boundaries of modern technology. Way to go Jeremiah! 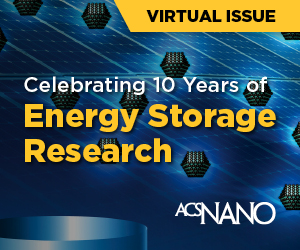 January 2, 2018: A paper from our group published in 2017 was selected for a virtual issue at ACS Nano that brings together 10 papers from the last 10 years which have made impact in the field of Energy Storage Research. ACS Nano is one of the highest impact and quality journals for nanoscience research, and we are excited to see our work highlighted in this virtual issue! 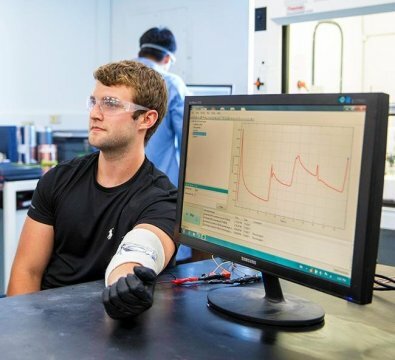 December 15, 2017: Research from the Pint lab on using 2D materials for electrochemical energy harvesting is featured as one of the 20 most popular research stories in 2017 from Vanderbilt University. Our research was featured among 3 other stories from VU Engineering this year that made it into the top 20, and this is the fourth year (of the about five years our lab has been active at VU) that our work has made it into the top 10 or top 20 list of most popular news stories at Vanderbilt. Prior work from our lab making it into this list were (2016) Cheap batteries processed from junkyard scraps, (2014) Materials that store energy and bear mechanical load, and (2013) Supercapacitors integrated into silicon chips using graphene coatings. Congrats to the Pint team, past and present, for making 2017 yet another year where we bring together impactful research results with impactful dissemination to the general public that allows the impact of our group to rise above others. Looking forward to a great 2018!!! 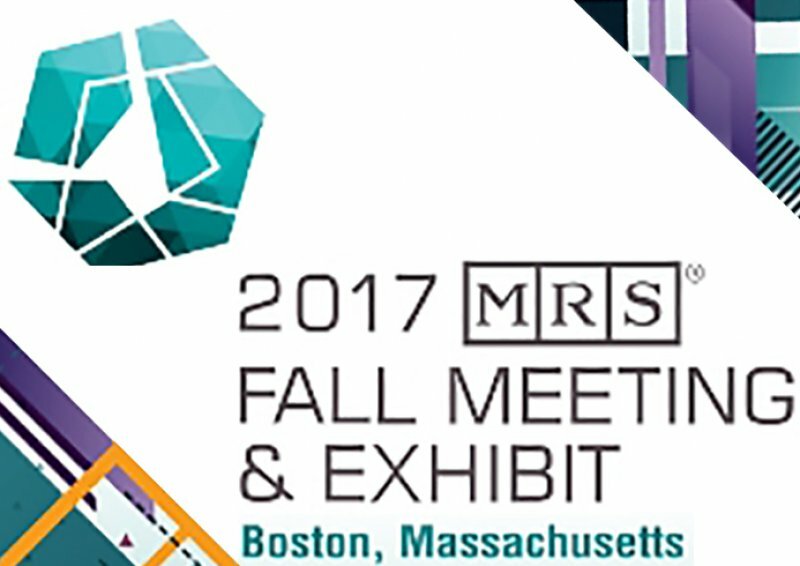 November 27, 2017: Prof. Pint delivered an invited talk entitled, “Controlling Interfaces for Stable Metal Anodes and Sulfur Cathodes” at the Interfaces for Energy Storage session at the 2017 Materials Research Society (MRS) Fall Meeting in Boston, MA. 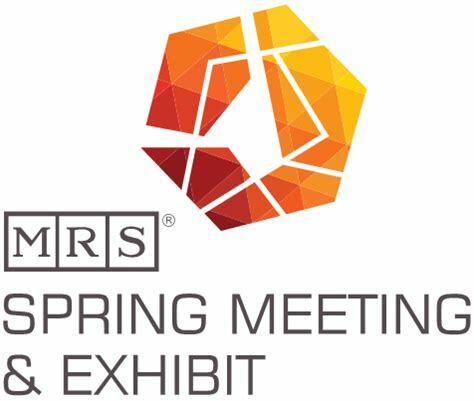 This is the premier society and meeting for researchers at the intersection of materials science and energy. November 6, 2017: Prof Pint delivered an invited talk to the Nanomanufacturing session, in the Advanced Manufacturing Track, at ASME IMECE 2017 focused on capillary nanomanufacturing of carbon nanotubes for battery applications. Nano- and Additive-Manufacturing were hot topics this year at IMECE! October 27, 2017: Huge Congratulations to Mengya Li! 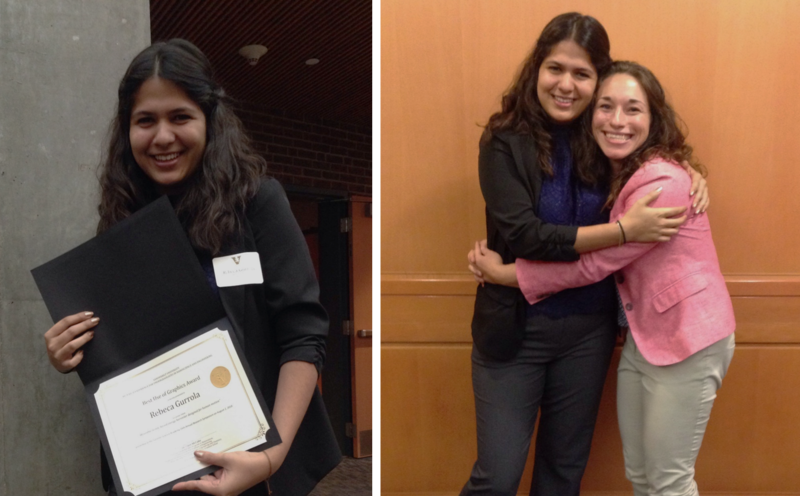 She presented a poster at the Vanderbilt NanoDay event, and won a 2nd place, $250 award for her poster. Her work discussed the use of capillary infiltration of sulfur to prepare carbon nanotube foams that exhibit both high areal and gravimetric capacity, and was published recently in ACS Nano. Way to go Mengya! Shown in the picture is Mengya in the bottom row in the white shirt, who is pictured alongside Prof. William Buhro, our Nanoday speaker, and other award winners. October 26, 2017: Prof. Pint has been traveling and presenting invited talks about work in the Pint lab for the past few weeks. In just the last week, Pint has delivered invited talks at the Naval Research Laboratory in Washington DC, the University of Maryland College Park, and at the 4th Intl. Symp. on Sustainable Secondary Battery Manufacturing and Recycling in Cancun, Mexico. Excited for more to come! August 30, 2017: Our work on 2D material building blocks for energy harvesters was featured in NBC news, alongside two other groundbreaking papers published in Science and Nature Energy recently. Check out the article here. August 9, 2017: Prof. Pint delivered an invited talk on 2D material-based electrochemical strain energy harvesters in the Low Dimensional Materials and Devices section of the SPIE Nanoscience + Engineering conference in sunny San Diego, CA. Check out the talks in the session here. 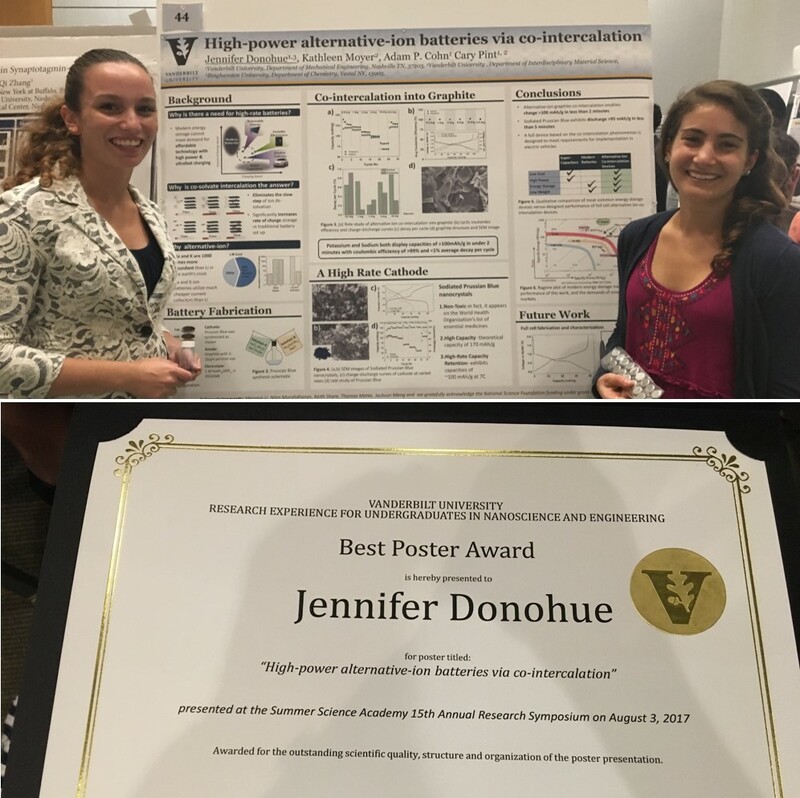 August 4, 2017: Congratulations to Jennifer Donohue, an REU student working in the Pint lab this summer from SUNY Binghampton, for winning the Vanderbilt Institute of Nanoscience and Engineering (VINSE) best poster award for her work on high power sodium and potassium batteries ($1000!). Pictured are Jennifer and Kate Moyer, her graduate student mentor, both standing beside her award winning poster! Way to go Jennifer! July 28, 2017: Prof. Pint was a guest on the CBC talk show “Quirks and Quarks” where he discussed the vision of 2-D materials embedded into fabrics for wearable energy harvesting. Listen in here! July 21, 2017: Pint lab work on a 2-D black phosphorus strain energy harvester using working concepts from battery systems was highlighted in the news today! This is based on a paper published in ACS Energy Letters today, and led by graduate students Nitin Muralidharan and Mengya Li. Check out our youtube video here! Shown at left is Tommy Metke, a 5th year researcher in the Pint lab and rising senior mechanical engineering undergraduate student at Vanderbilt. 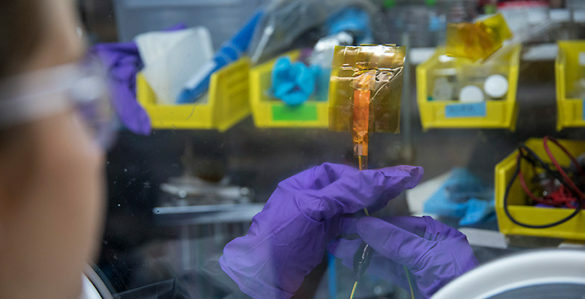 This is a critical step for our team to bridge biomechanical systems, novel electrochemical device technologies, and the fundamental understanding enabling innovation at this intersection. Go Pint Lab! 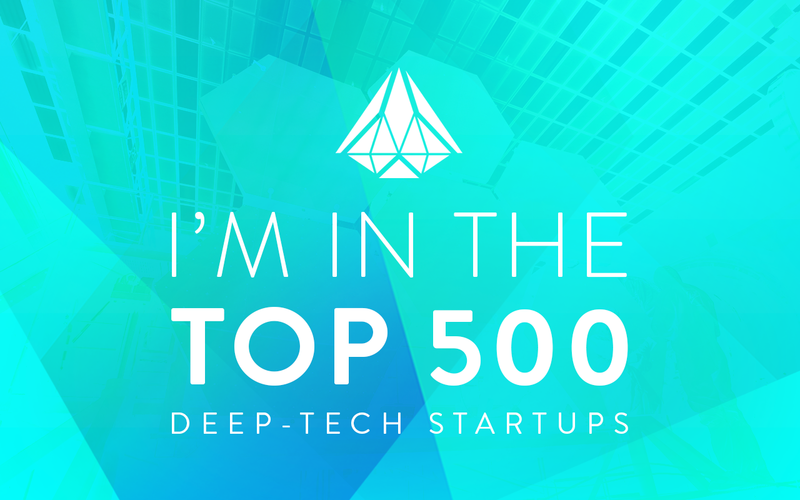 July 13, 2017: SkyNano, a spin-off company led by graduate student Anna Douglas and Prof. Pint, was named as one the top 500 deep tech start-ups in the world by Hello Tomorrow, a global non-profit. Anna will travel to Paris, France in October for their global summit to pitch SkyNano’s technology and compete for a globally competitive deep tech award. June 27, 2017: Congratulations to Anna Douglas and SkyNano! 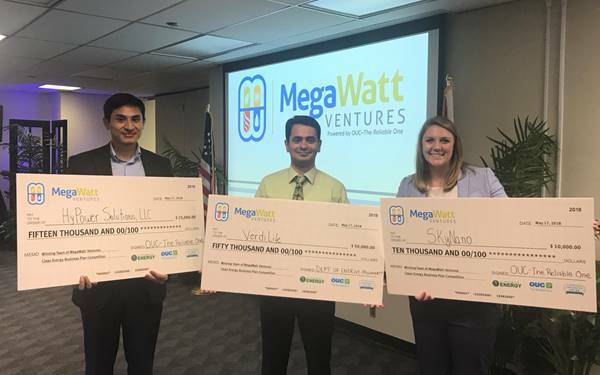 After being runner-up at the Cleantech Regional Competition (MegaWatt Venture Challenge) in early June, Anna proceeded on to the National Cleantech University Prize competition sponsored by the Department of Energy and held in Austin, TX June 26-27th. Of the teams hailing from 8 regional competitions (contenders shown in picture), SkyNano was selected among the top six final teams that competed for the top award on the 27th. This is a huge honor – way to go Anna Douglas, who is a Ph.D. student in the Pint lab and the CEO of SkyNano LLC. Within 6 months of launching the company, it has already been distinguished as one of the top six in the nation. Imagine where SkyNano will be in 2018! Go SkyNano! Go Anna! June 19, 2017: Congratulations to Andrew Westover. 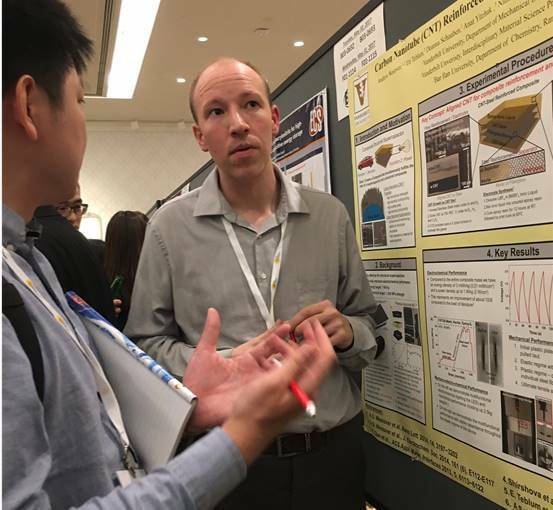 He was awarded the 1st place Best Student Poster award at the 2017 ECS Meeting for his poster entitled, “Carbon Nanotube Reinforced Structural Composite Supercapacitors.” This is a giant honor since the ECS meeting is a home society for electrochemical sciences and devices, and there were very many excellent student posters presented! Way to go Andrew! Shown is Andrew presenting his award winning poster at ECS. June 9, 2017: Congratulations to SkyNano LLC and Mrs. Anna Douglas! 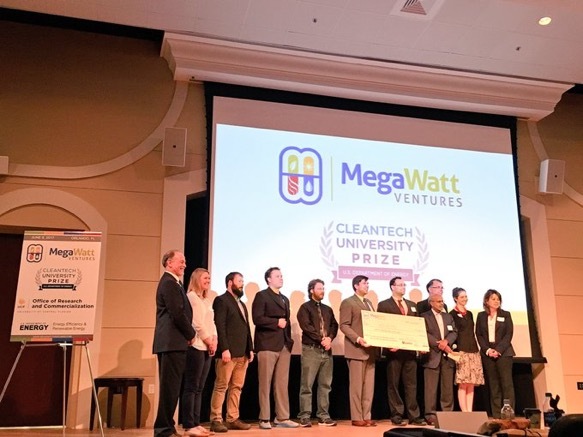 After being selected as one of 10 finalists to pitch and compete in the MegaWatt Ventures Cleantech Business Competition in Orlando, FL, SkyNano was named runner-up for the award. Way to go Anna Douglas for this huge achievement. Shown in the picture are the finalists, including Mrs. Anna Douglas (2nd from left) in Orlando, FL after the smoke cleared from the competition. 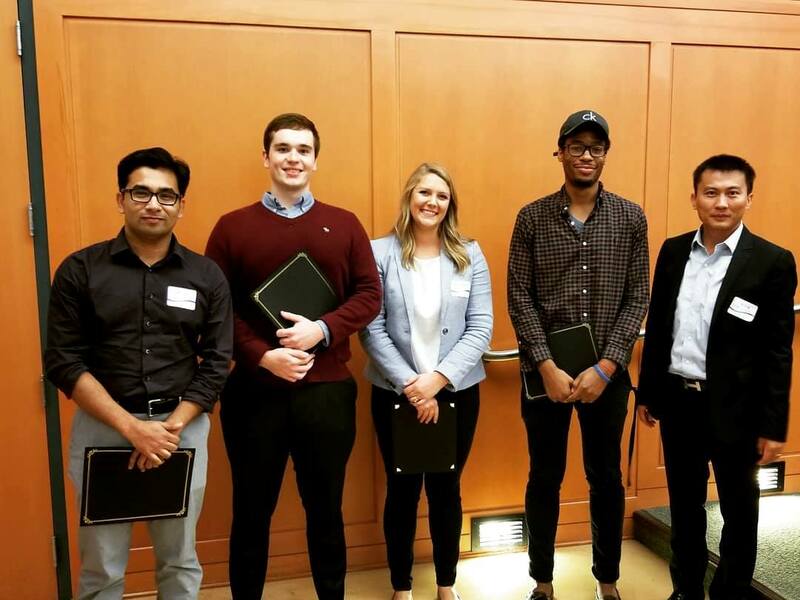 This win qualifies Anna and SkyNano to advance to the overall National University Cleantech Venture competition to be held in Austin, TX on June 26-27th. Go SkyNano! May 31, 2017: Prof. Pint attended the 2017 ECS Meeting held in New Orleans, LA, and in three days of the conference gave 3 talks (2 contributed, and one invited), and chaired two sessions. Pint presented work focused on (1) Mechanochemistry of batteries, (2) Anode free sodium batteries, and (3) CO2 conversion into small diameter CNTs, and these were all well accepted! 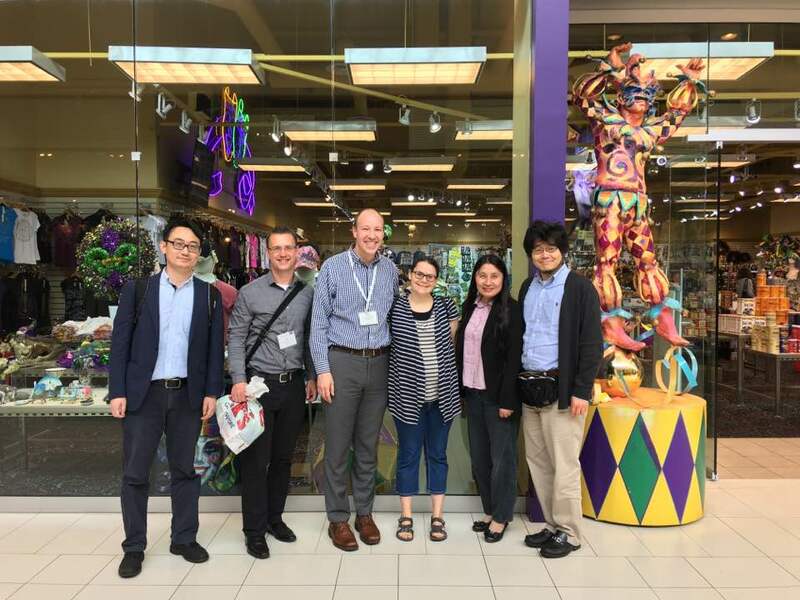 Shown here is a picture after lunch on Wednesday with (L-R) Prof. Rong Xiang (University of Tokyo), Prof. Pint, Dr. Andrew Westover and his wife Jamie (Oak Ridge National Lab, and formerly Pint lab), Prof. Yan Li (Peking University), and Prof. Shigeo Maruyama (University of Tokyo). Looking forward to the next ECS Meeting! May 26, 2017: The Pint Lab relocation has now begun! After several months of (patient?) 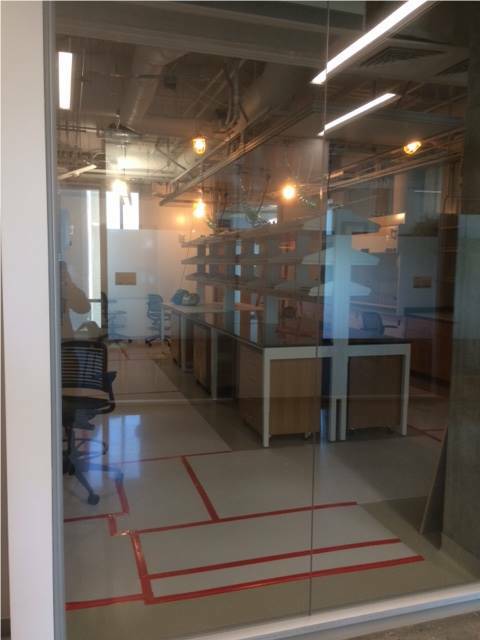 waiting, renovations have begun on our new flagship space in the Engineering and Science Building – the new hub of Innovation at Vanderbilt University. This building has a new cleanroom downstairs, all of VINSE’s equipment within an elevator ride, and our lab is situated next door to the Wond’ry – a multidisciplinary innovation center. These amazing facilities, and this early picture, will go down in history as the “seed of greatness.” We’re excited! May 18, 2017: Congratulations to Anna Douglas, graduate student in Pint Lab and CEO of spinoff company from Pint group, SkyNano LLC. SkyNano was awarded a prestigious slot in the 2017 ORNL Innovation Crossroads Fellow cohort to convert atmospheric carbon dioxide into high valued single-walled carbon nanotubes. 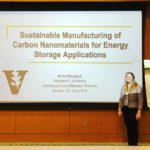 This provides $350,000 of start-up funds and salary/funding support for Anna from the Department of Energy as she continues her graduate research at ORNL and simultaneously develops this company. Read about this extraordinary opportunity in Vanderbilt News. May 16, 2017: Prof. Cary Pint and Anna Douglas traveled to capitol hill in Washington DC to personally visit the congressional offices of TN Senator Alexander, and TN Representatives Cooper, Cohen, Blackburn, Fleischmann, and Kustoff to discuss the importance of federal funding agencies, and specifically NSF, to the education and research mission of our country. 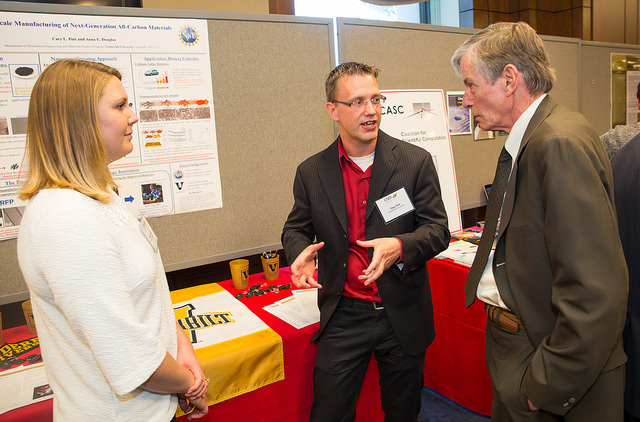 To cap off the evening, we presented a poster alongside 35 NSF-funded researchers at the NSF Advocacy day event. 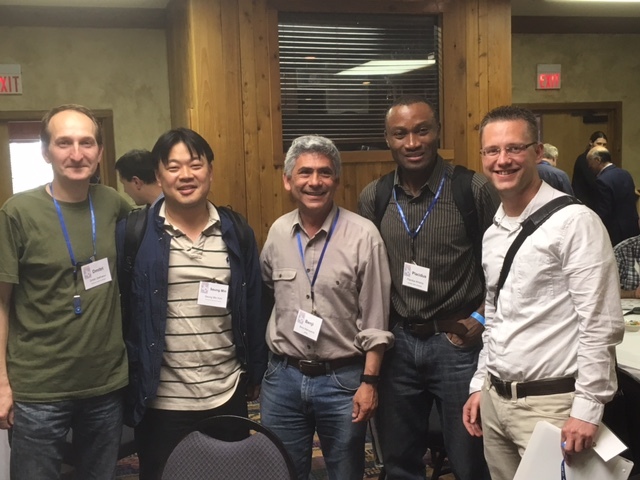 April 21-25, 2017: Prof Pint delivered an invited talk at the 2017 Guadalupe workshop on Nucleation and Growth Mechanisms of Atomically Thin Nanomaterials – similar to a Gordon workshop, but held at the Guadalupe river ranch in TX. Pint’s talk focused on efforts aiming to achieve small diameter CNT growth from ambient CO2. Shown in the picture is a historic team of researchers (including Prof. Pint, right) that made huge leaps in understanding of carbon nanotube growth science. February 2017 Congratulations to Rachel Carter for her work published in Nano Letters entitled, “A Sugar Derived Room Temperature Sodium Sulfur Battery with Long Term Cycling Stability” and corresponding press release that was independently picked up through IOP’s Nanotechweb.org. Notably, this paper was also one of the Most Read papers in Nano Letters during the month of February and early March, and describes a process to produce sodium sulfur batteries from (very cheap!) table sugar, bulk sodium, and bulk sulfur that involve a stable anode-electrolyte-cathode configuration that results in excellent cycling performance. Go Rachel!